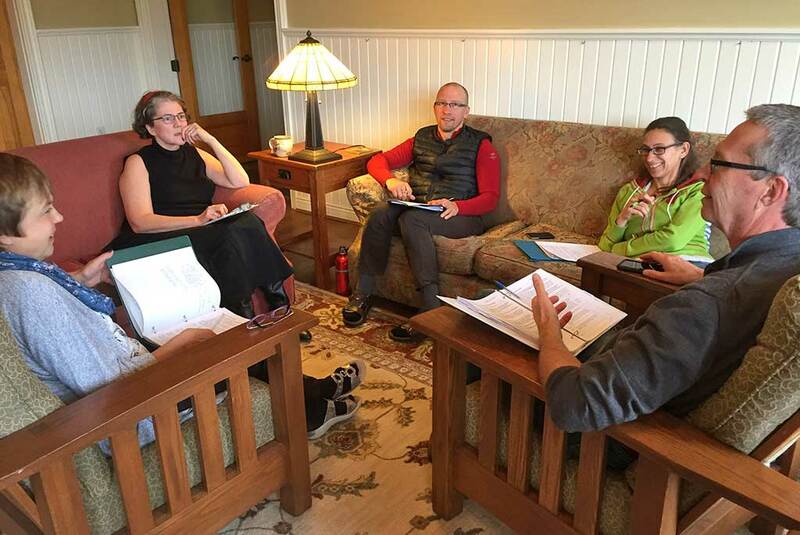 Our 18-month program is anchored in four residential intensives held every six months: three 6-day intensives plus a weekend closing intensive. In addition to times set aside for formal learning experiences, the daily rhythm includes morning and evening prayer, shared meals and an extended break in the afternoon for rest and renewal. Each of the 6-day intensives includes a Sabbath day. Community formation: A safe and supportive learning atmosphere is created and supportive friendships and community are fostered, continuing long after the course is over. Integrative learning: The space and time to actively engage with and practice what is being taught, as it is being taught, offers opportunity for reinforcement to enrich the learning experience. Face-to-face learning: In this day of virtual connection, we offer our deep value of spacious face-to-face learning. Extended learning: This residential model offers the opportunity for conversations and debriefing to continue and expand beyond the class time. Broadened experience: In removing participants from usual life, more than just learning occurs. A richer life is supported. We have noticed a deepening value of vulnerability when participants experience more than formal class life together. In addition, the overall contemplative rhythm of the residential life contributes to the supporting aspects of the life of a spiritual director i.e. rhythm of morning/evening prayer, Sabbath day. Exposure and access to facilitators: Because the facilitators are also in residence, there is more potential for ‘caught’ learning in addition to ‘taught’ learning.